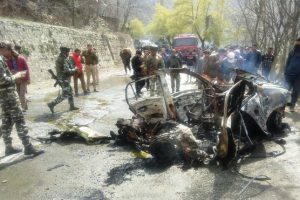 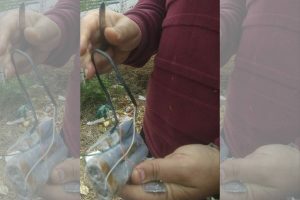 A letter recovered from the scene had identified the driver as a Hizbul Mujahideen operative who mentioned his intention to carry out a February 14 Pulwama type terror attack which left 40 CRPF personnel dead after a terrorist of Jaish-e-Mohammad (JeM) outfit drove an explosive-laden vehicle and targeted a CRPF convoy. 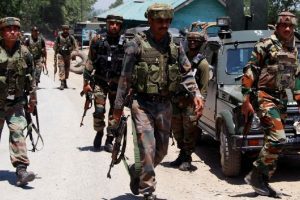 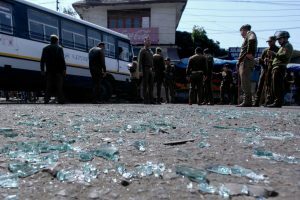 Defence Ministry spokesman Colonel Rajesh Kalia said the militants were killed in an encounter in Nowgam, on the outskirts of Srinagar city. 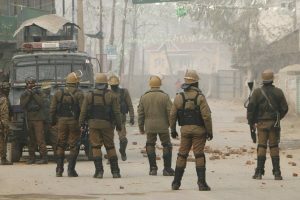 All the three terrorists were locals and two of them belonged to Pulwama and one to Shopian. 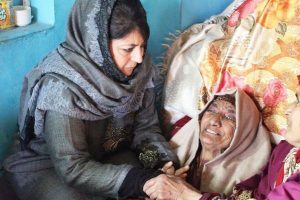 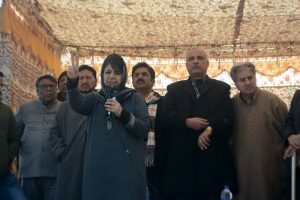 Gupta alleged that Mehbooba “while in Jammu was busy playing divisive and communal politics by attempting to break centuries-old brotherhood, bonding and bonhomie between the Gujjars and Dogras, in Kashmir she was relentlessly working for JeI and pursuing the agenda laid down by Hurriyat”. 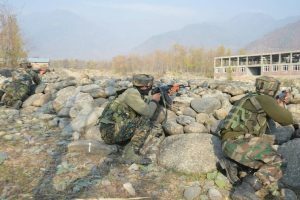 A 14-year-old boy was among three terrorists killed in an encounter with the security forces in Hajin of Bandipura three months ago. 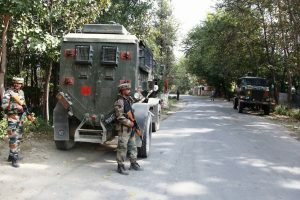 Security has been put on high alert at vulnerable places in the Jammu division following the incident. 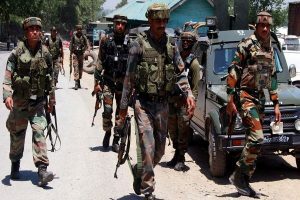 Five heavily armed terrorists were killed on Sunday afternoon in an encounter with the security forces in the Kilam area of South Kashmir’s Kulgam district. 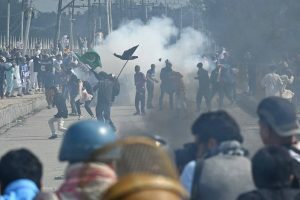 Four journalists, covering the gunfight, sustained pellet shots fired apparently by the security forces. 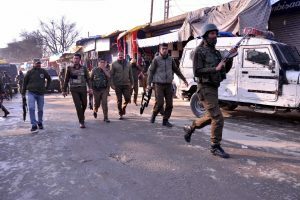 The police said that the operation is in the final stages and one or two militants are still believed to be hiding in the area and are engaged in the gunfight. 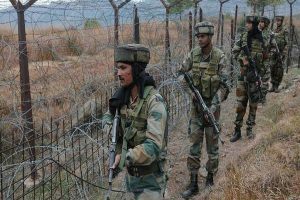 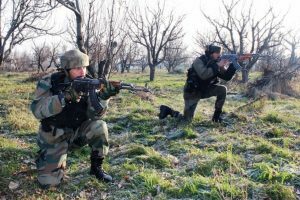 The strategy of terrorists operating from hideouts dug in orchards of South Kashmir was exposed during encounters on December 15 and 22 when the security forces shot dead terrorists of Hizbul Mujahideen (HM) outfit. 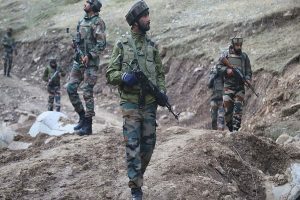 Six terrorists, including top commanders of Hizbul Mujahideen (HM) and Lashkar-e-Taiba (LeT), were on Sunday morning killed in an encounter with security forces at Batagund in Shopian district of South Kashmir. 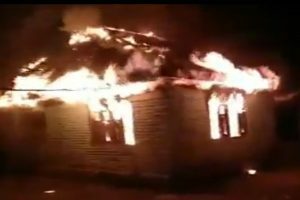 Terrorists burn down a panchayat office in Nutnussa village of Kupwara district that registered 71.9% polling earlier in the day.